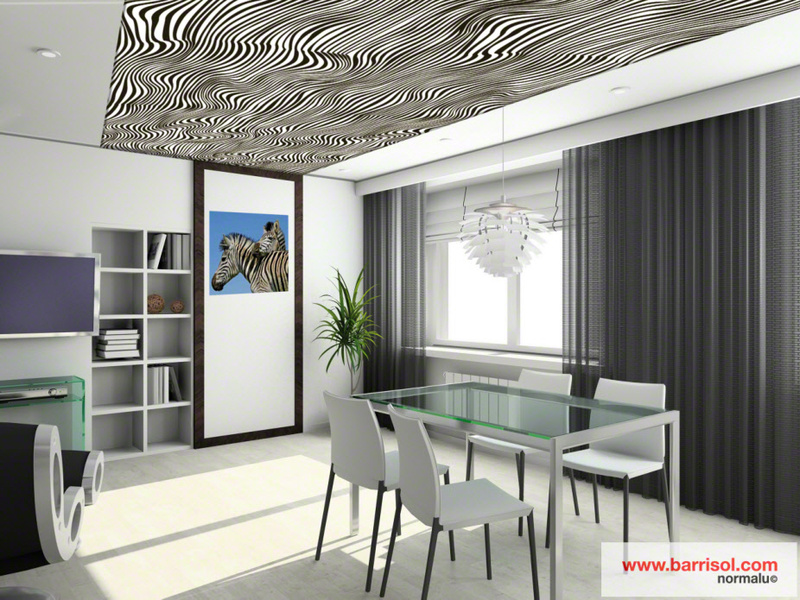 The Barrisol Creadesign stretch is an innovative new finish from the BARRISOL family. Employing the system of flocking, this new finish technique brings a visio-tactile illusion to any interior situation. 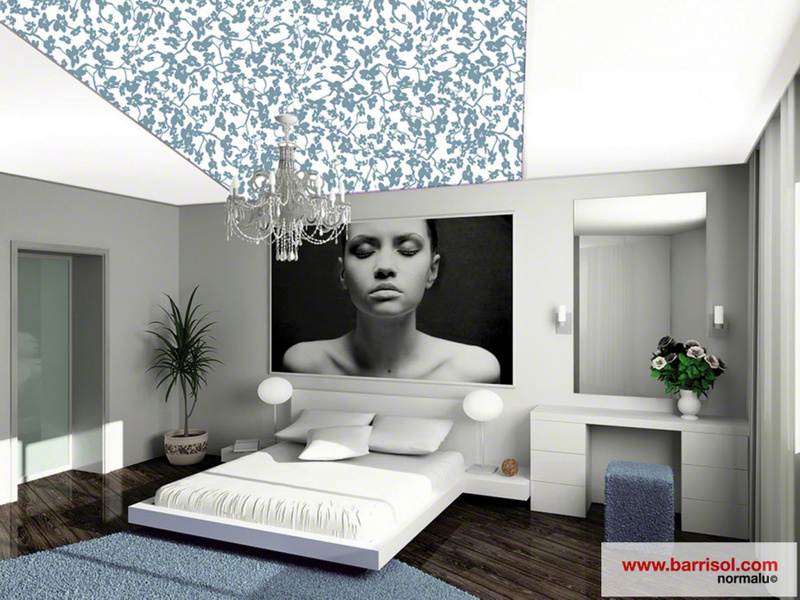 The flocking process consists of applying a partial brushed suede pattern onto a translucent Barrisol sheeting. Resulting in a soft and hairy material, creating a stunning velvet 3D illusion. 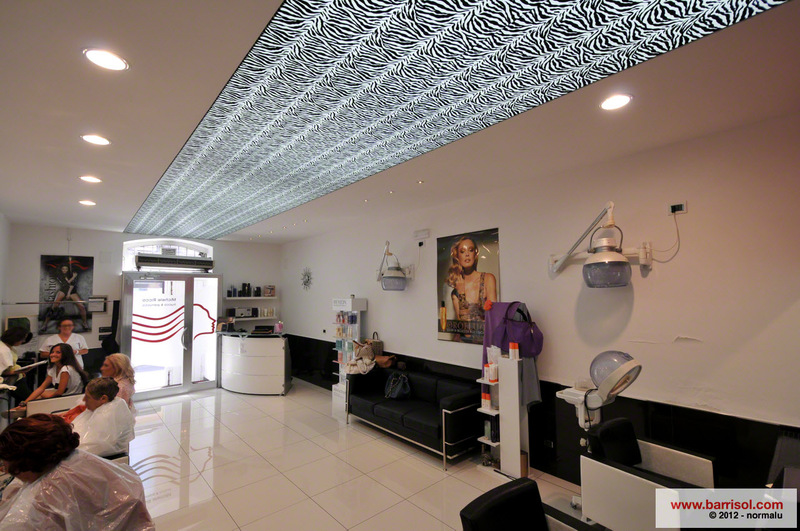 The Creadesign stretch ceiling is engineered to be adaptable to any surface the designer has in mind, walls, ceilings, furniture, luminaries, objects, whatever designers can think of! These new patterns lend a unique personality and ambience to the space. The Creadesign range has been realized in many innovative uses, from accenting chandeliers on ceilings with custom colors, to serving as a backdrop for pride of place art pieces or to as backgrounds for family portraits and televisions. With eight beautiful standard patterns available: baroques, animal, floral and geometrical. 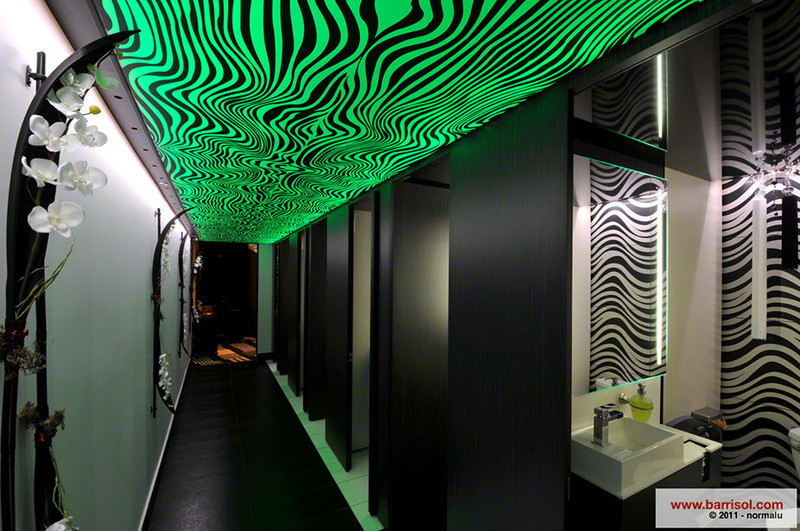 The designer is empowered to choose exactly the right pattern to set the intended tone for the environment. If this isn’t enough, in addition to the standard patterns, the designer can propose their own pattern, for a truly personal touch, logos, abstract forms or a combination. With such a wide variety of customization options available, Kiwi designers are empowered to create luxurious and beautiful interior spaces that are authentic personal statements.